Sprint, after having recently launched their first 3D smart phone, the EVO 3D, looks to be knee deep in their next big Android handset. We recently reported that HTC Kingdom passed through the FCC featuring Sprint’s radio frequencies and now it looks like Kingdom is getting a more formal, yet familiar name. 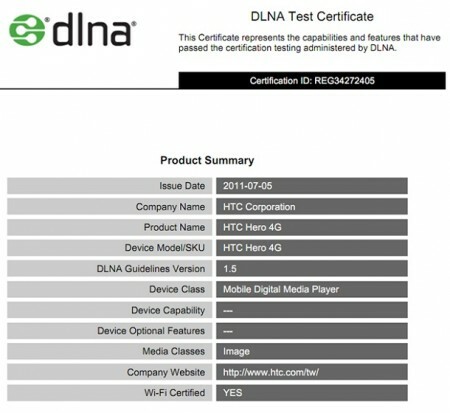 The device recently passed its DLNA test with the name of HTC Hero 4G. 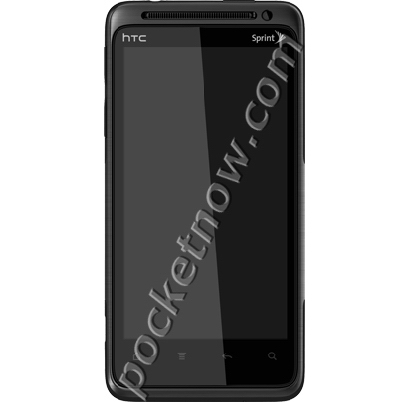 Long time Android followers will recall the first device to land in the U.S. with Sense was Sprint and HTC’s Hero. Could we be getting a true successor out of the two with support for the carrier’s 4G network? Signs are pointing to yes. Below you can see the leaked render image of the Hero 4G, courtesy to PocketNow. What we know so far about the specs is that it will run on Android 2.3.3 Gingerbread with HTC Sense UI, featuring a 4 inch qHD display, 1.2GHz single-core processor (I doubt single-core), 768 MB RAM, 5MP rear camera with 720p video recording and 1.3MP front facing camera for video chatting. Why I doubt single-core because we are living in a world where new and flagship smartphones are coming with high-end specs which includes a dual-core processor too. So as it will be Sprint’s new flagship device, it might be featuring a dual core processor. So anyone looking forward to get one from Sprint or already got EVO 3D? Tell us in the comment box below.